Just out and spectacular! 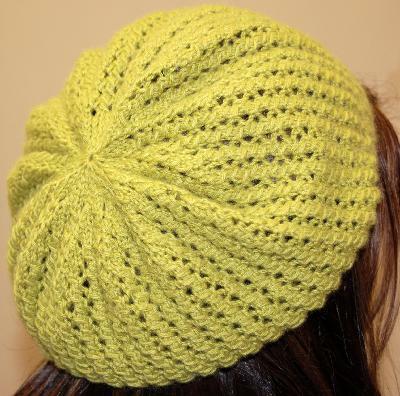 The Ivy Brambles Green Tea Beret and Mitts Pattern by Emily Elizabeth Designs! This gorgeous beret and mitts set is super soft, light, warm and very stylish! Designed by Emily Elizabeth in Ivy Brambles 4-ply Cashmere Yarn, this set is easy to knit and a delight to wear. 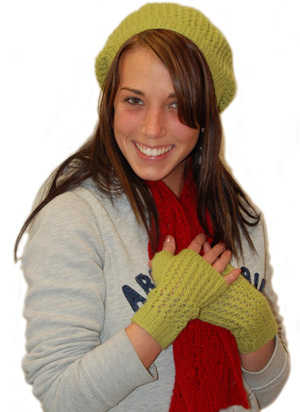 A simple pattern stitch is worked throughout the beret and mitts making this a spectacular set! Both the hat and the mitts require one skein of the Ivy Brambles 4-ply Cashmere each! Pattern is available as a PDF download for your convenience. Enjoy! 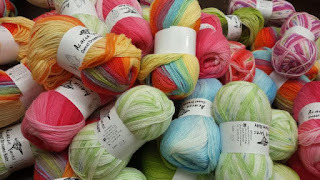 A new Kauni EYC colorway has arrived and it is spectacular - two colors rock this yarn - Fuschia and Black! The long self striping effect are mesmerizing and sure to please! 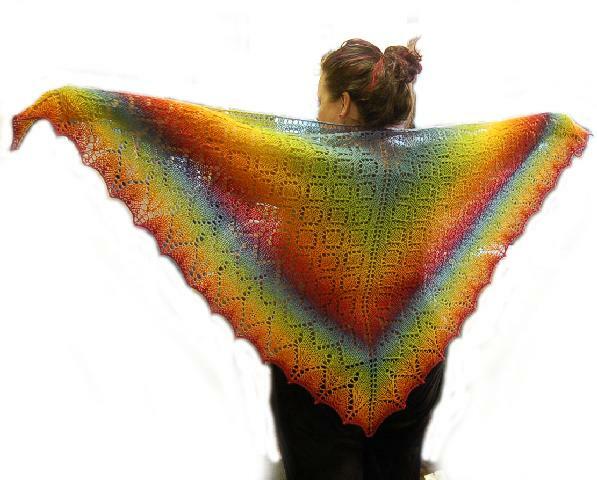 The EYC Colorway is another great candidate for the Diamond Delight Shawl which would be spectacular in hot pink and black! Very cool! Also just in! New, one of a kind bags from Its In The Bag by Carole including small project pouches, needle cases and project bags! These bags are all handmade locally and they are made using only the finest fabrics available. Check these bags out; there may be one made especially for you! Have a great week and happy fibering!